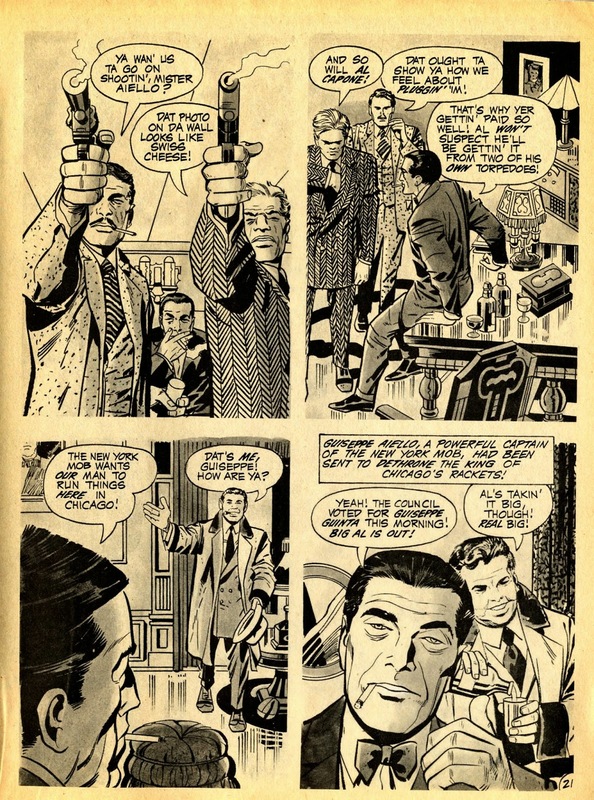 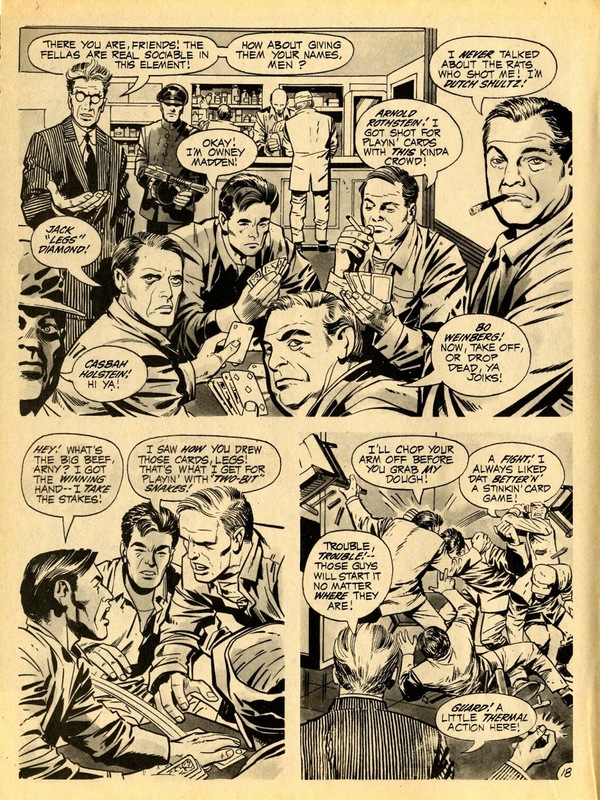 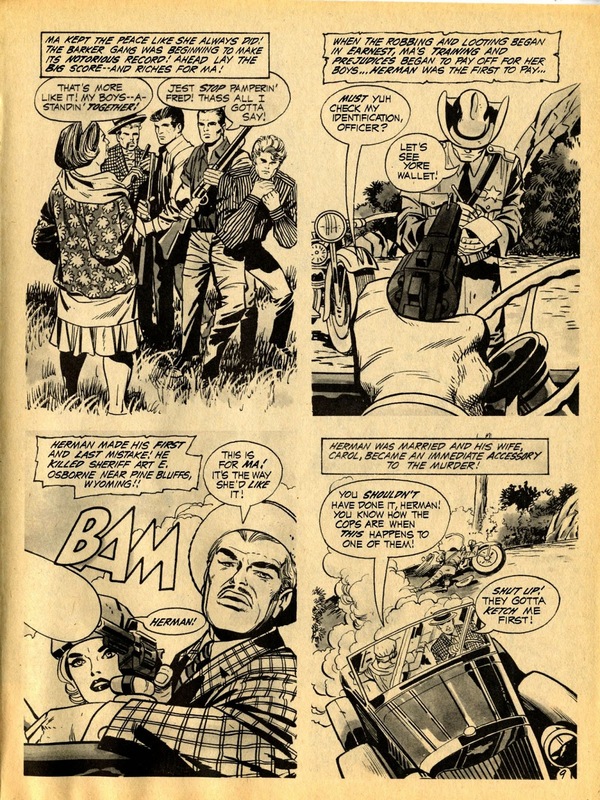 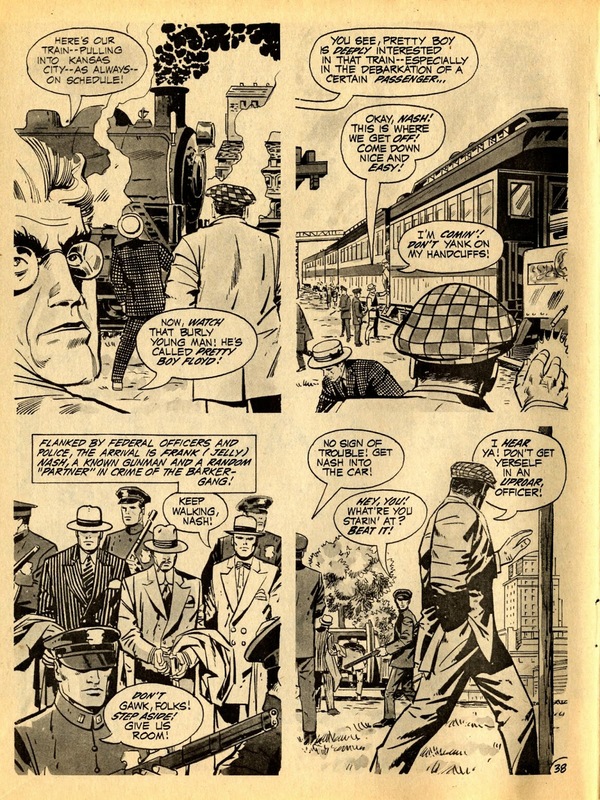 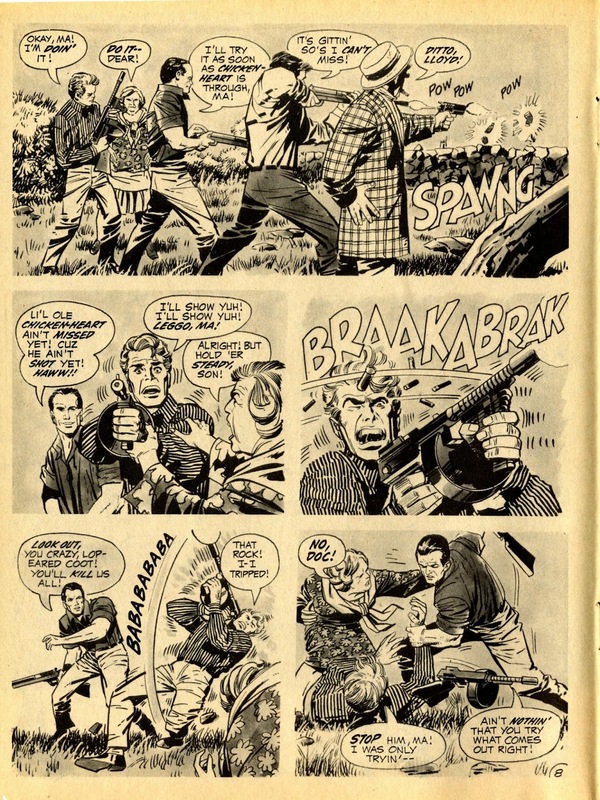 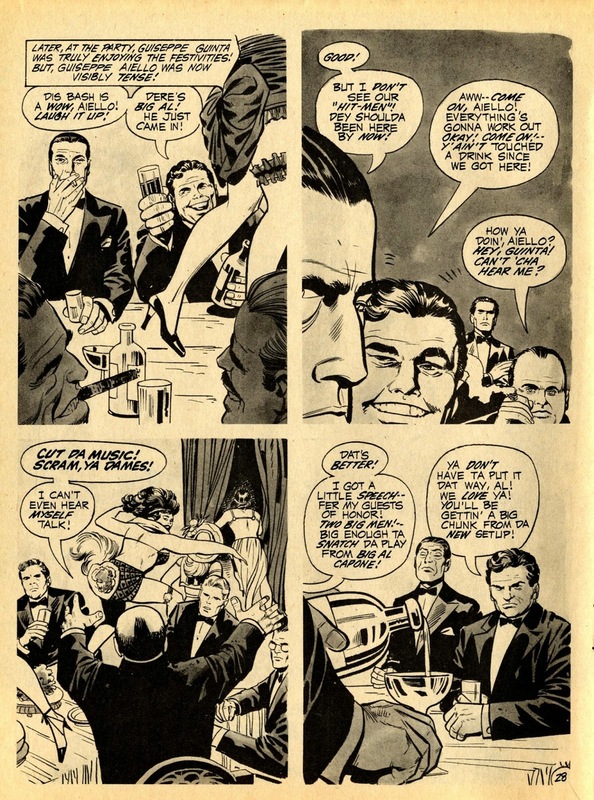 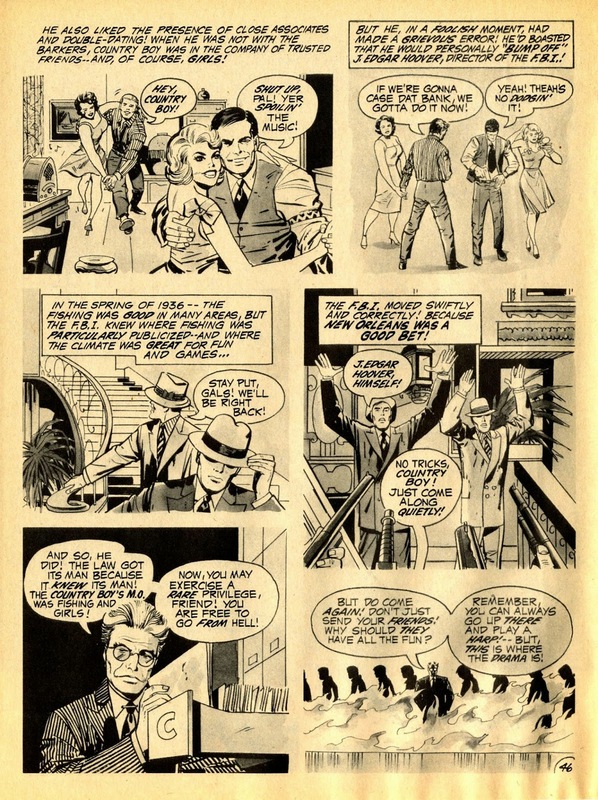 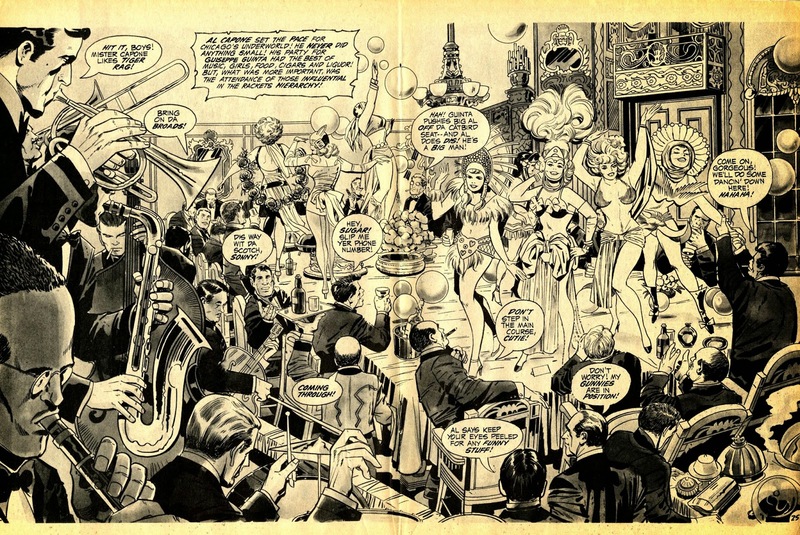 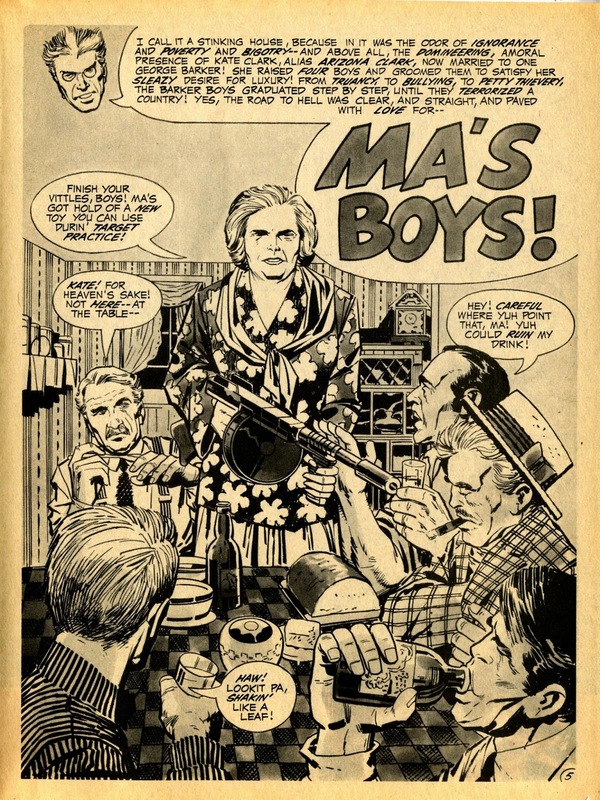 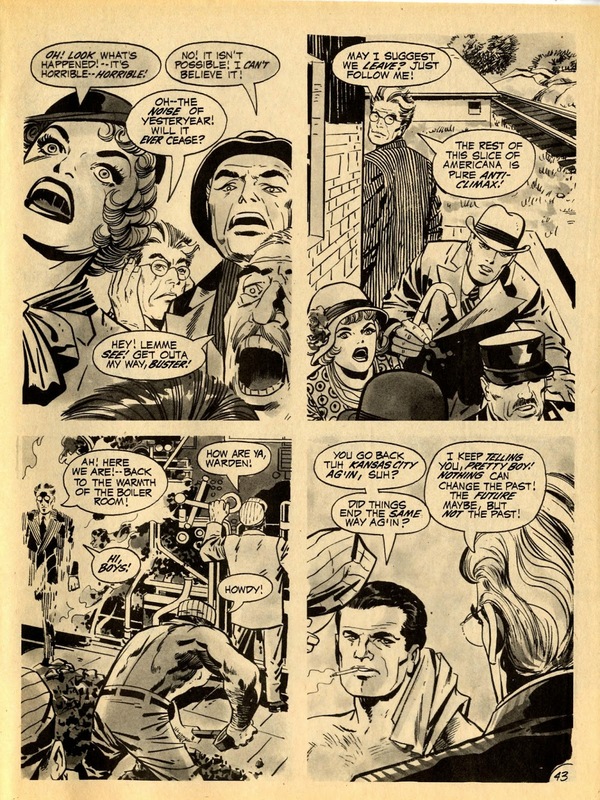 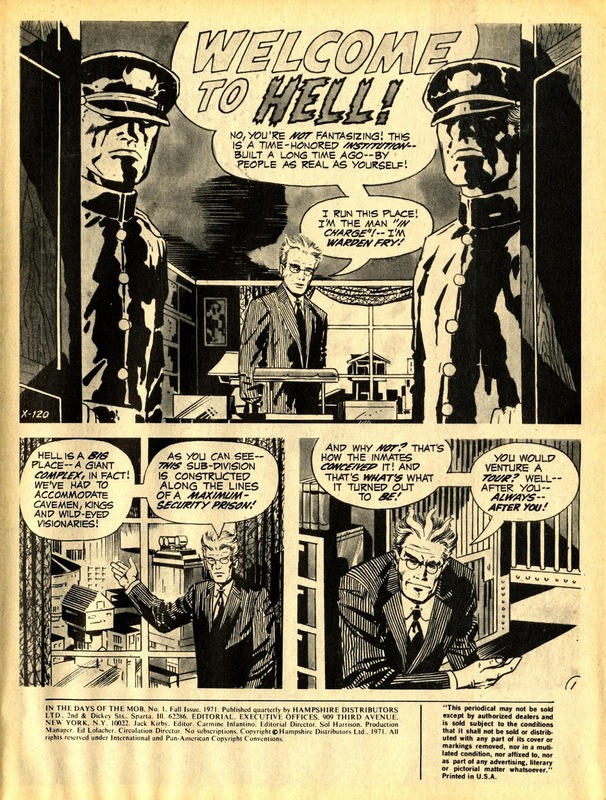 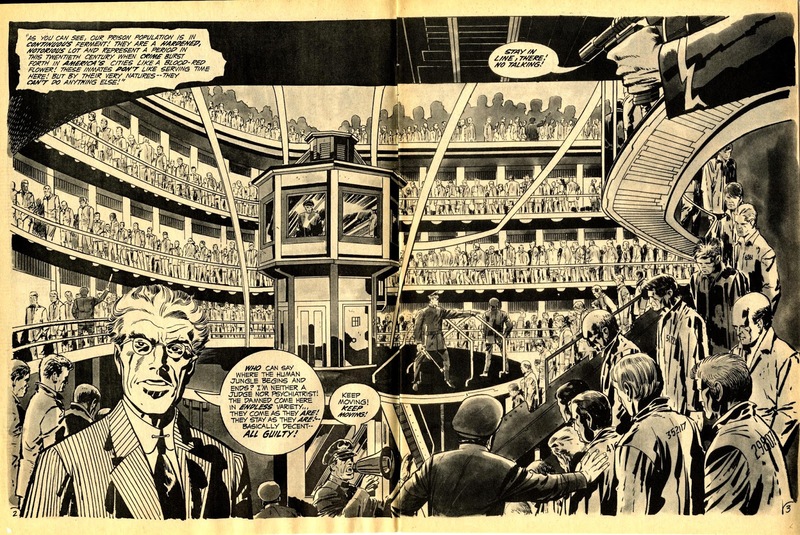 As a visual storyteller -- we're not counting brilliant creator, costume designer or anything -- Jack Kirby can make the ordinary humdrum panel seem exciting. 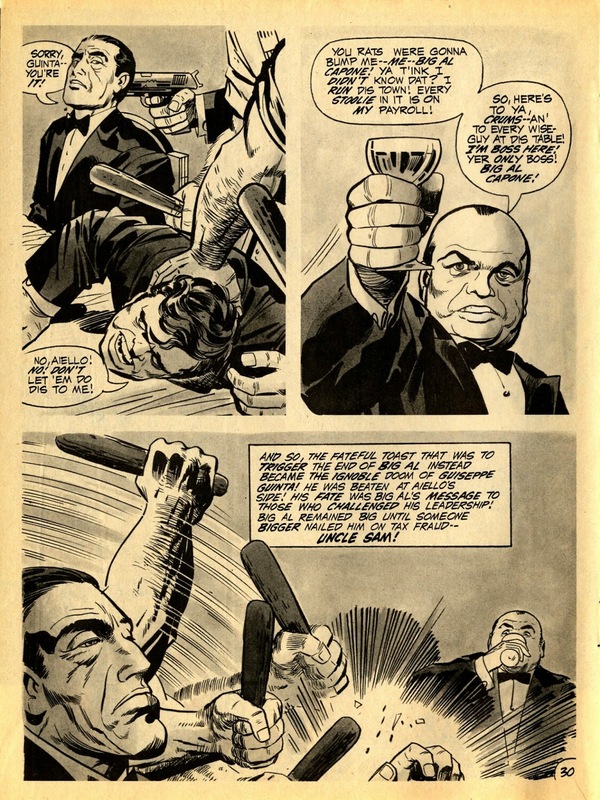 That is his greatest strength in comics. 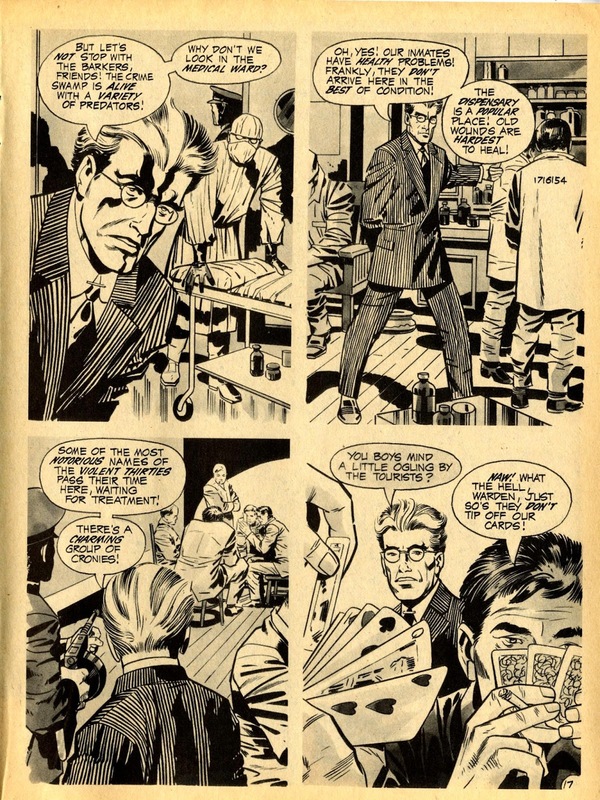 This is why everyone since has imitated him in one form or another, trying to get that same visual excitement. 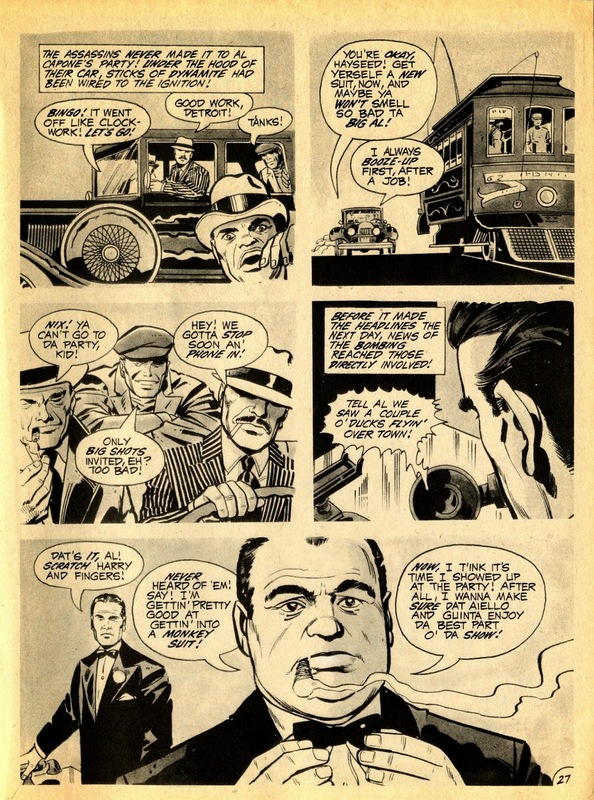 Only Eisner as a storyteller makes panels as eye opening using panel design and pacing "gimmicks," for want of a better word. 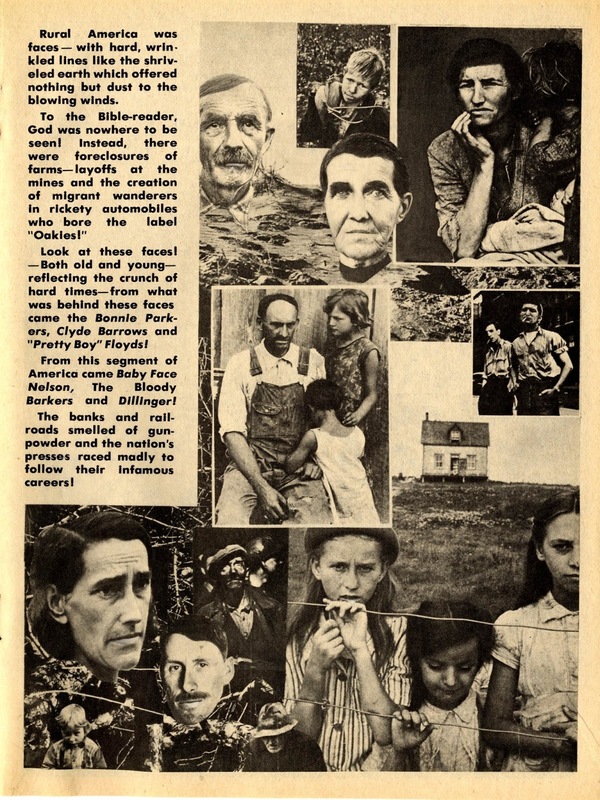 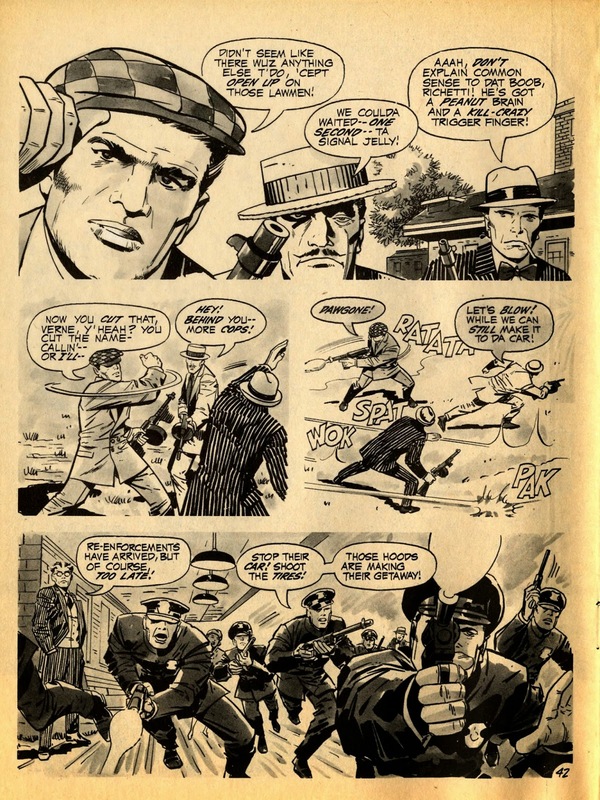 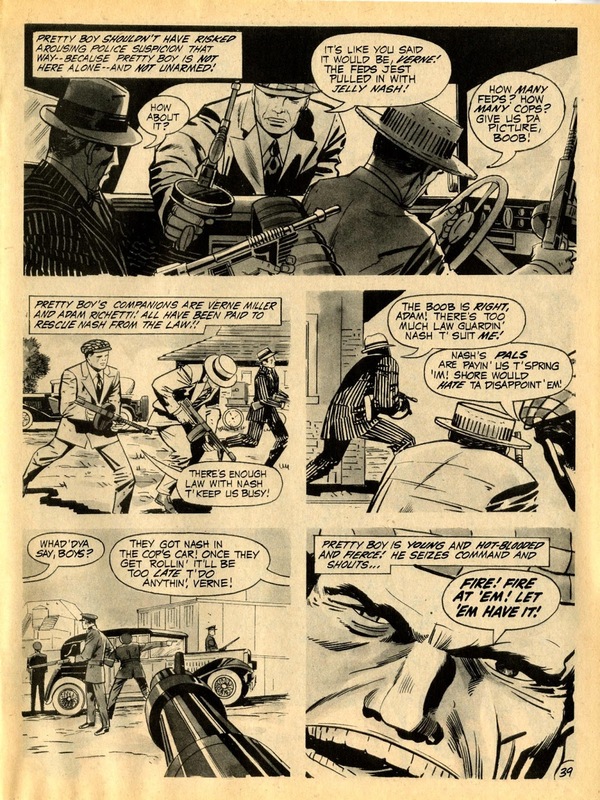 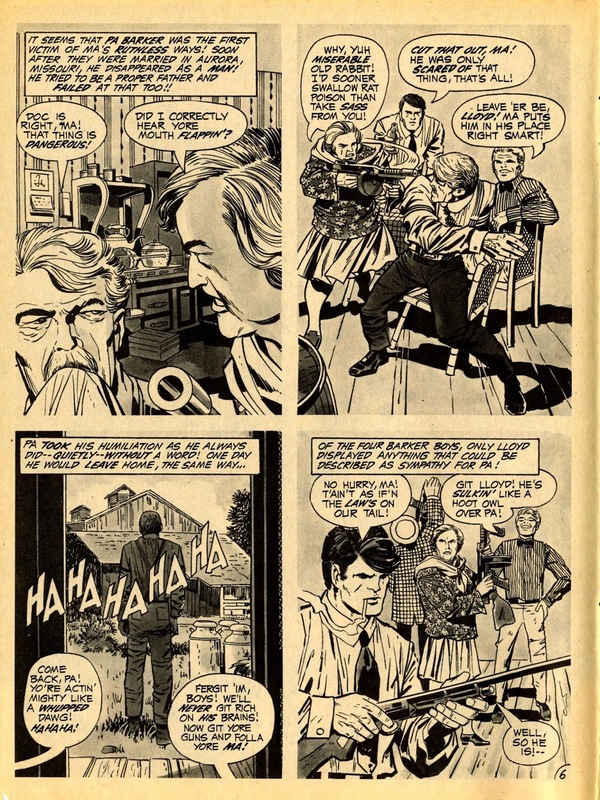 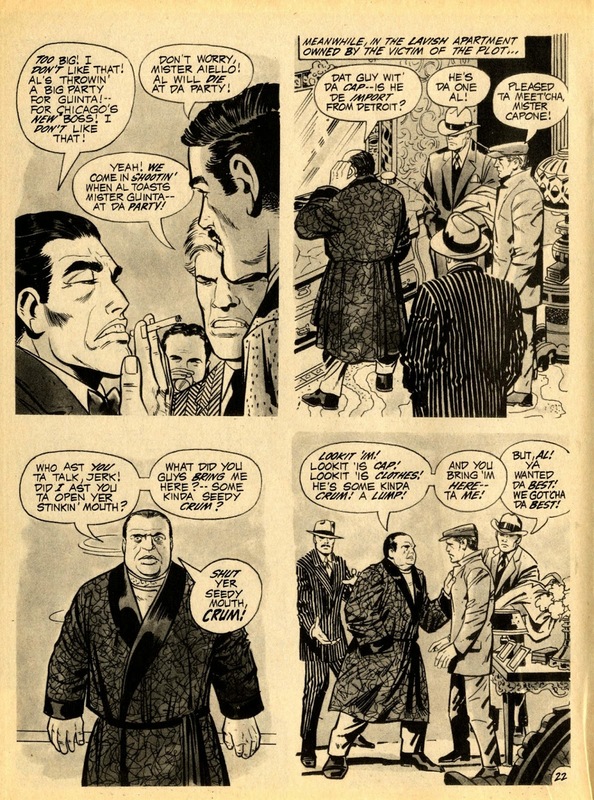 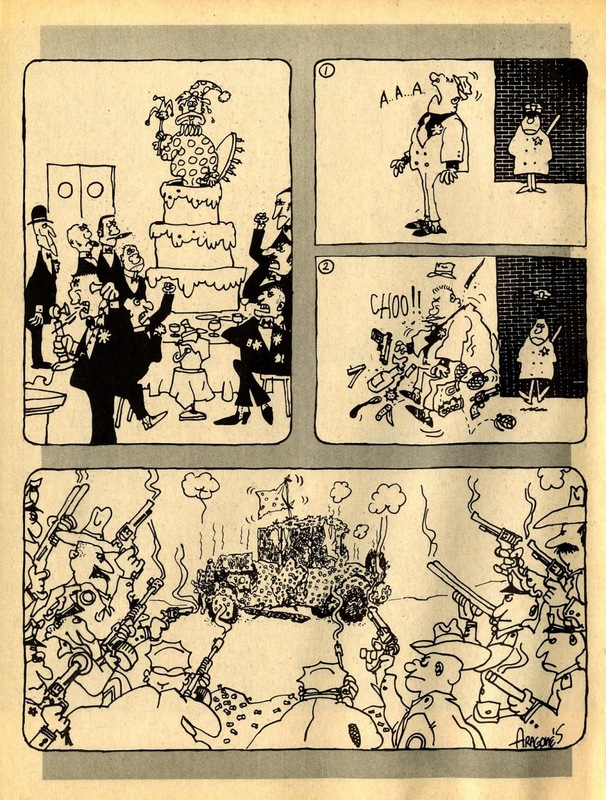 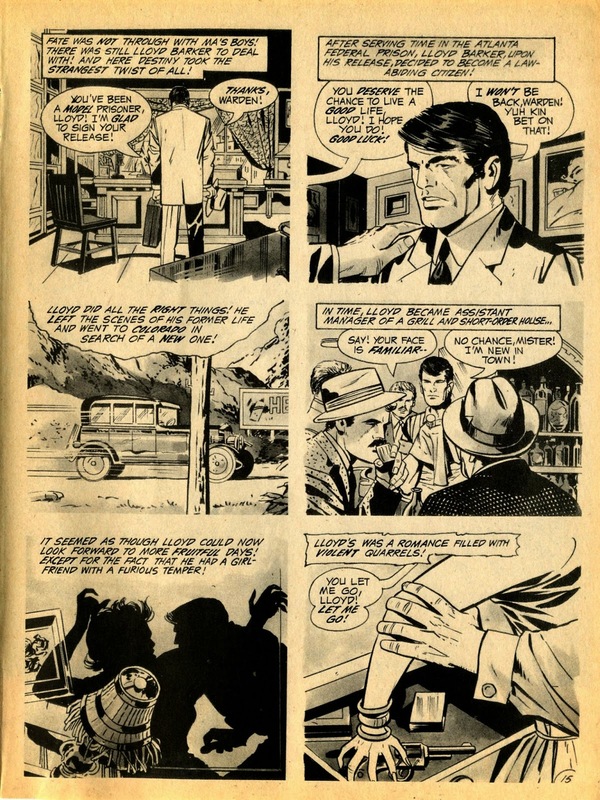 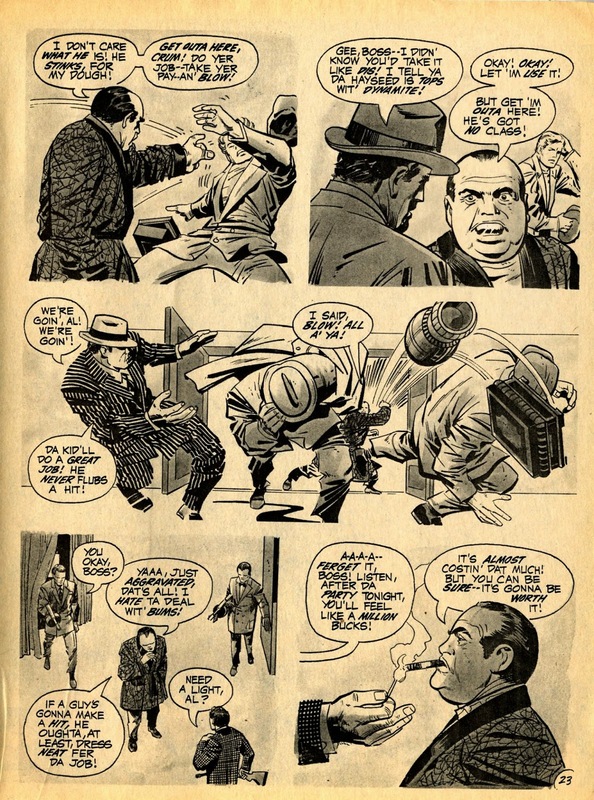 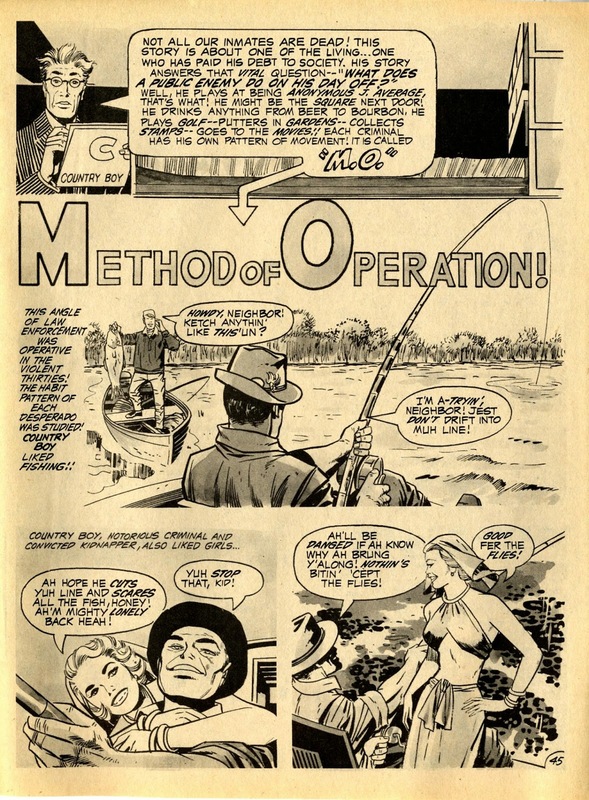 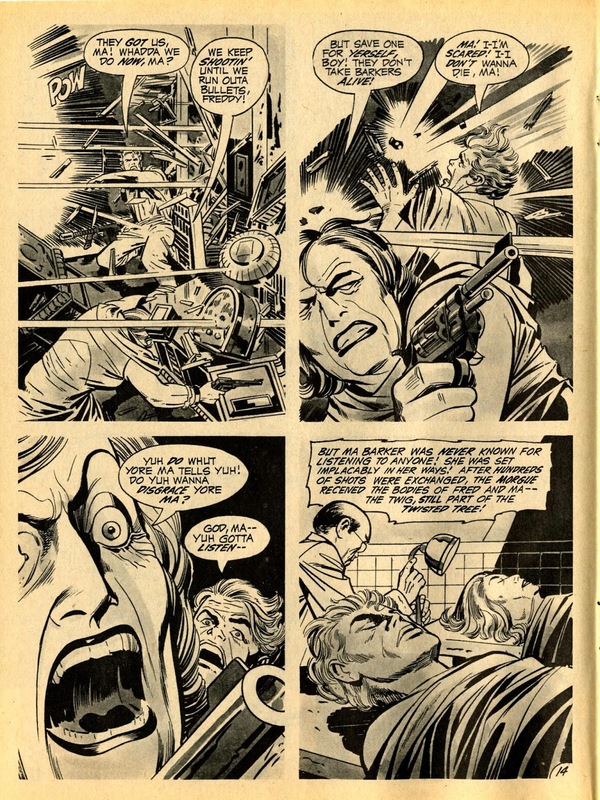 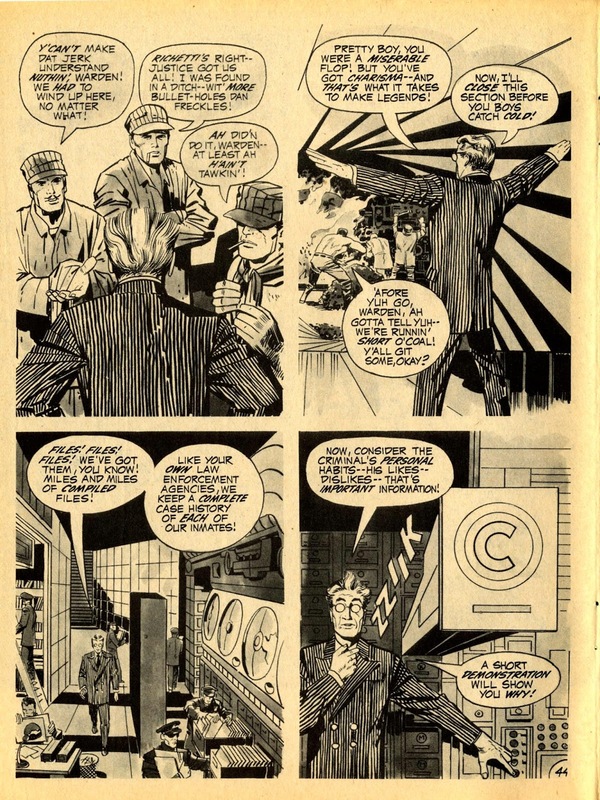 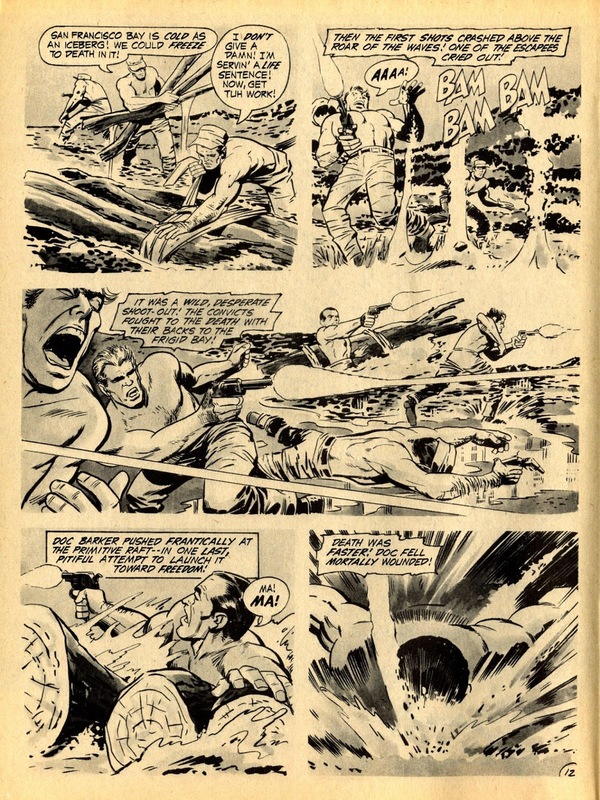 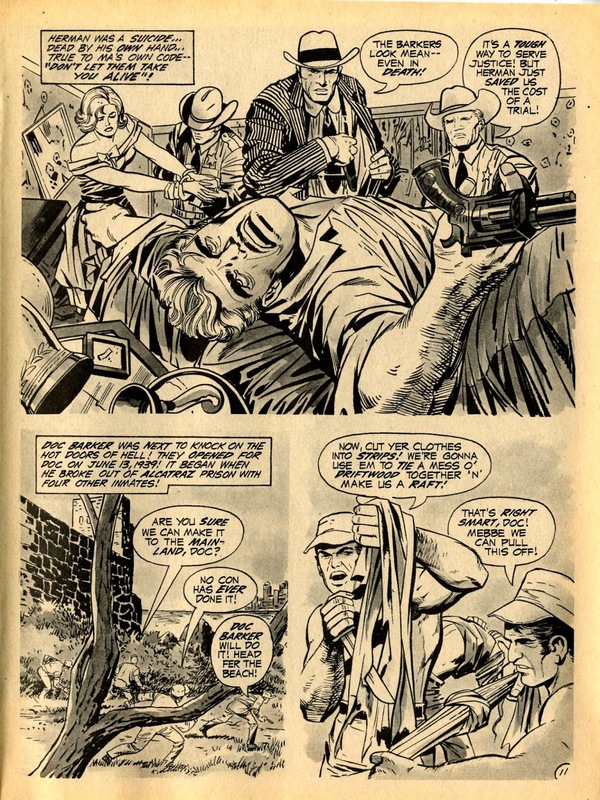 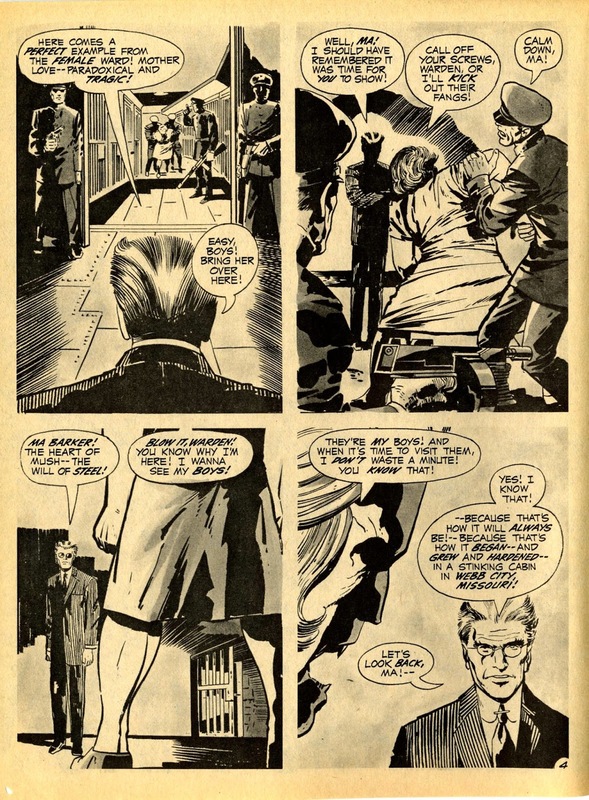 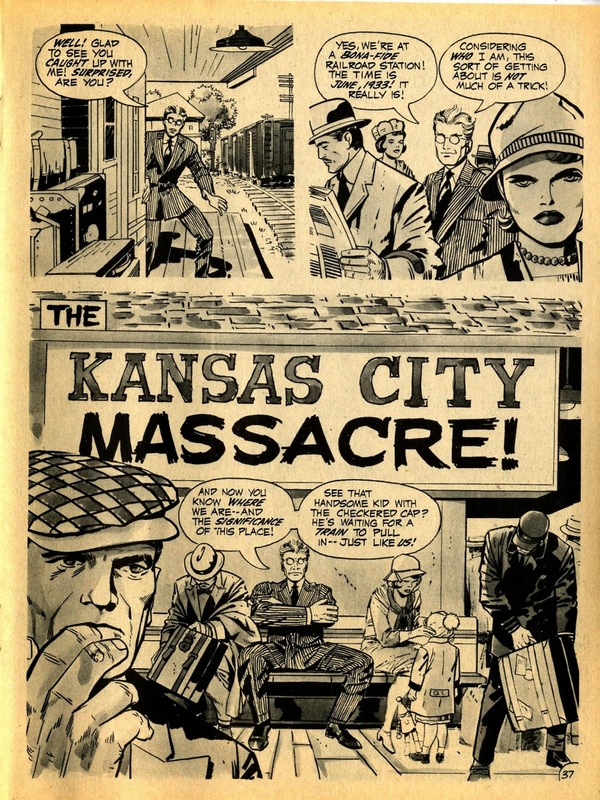 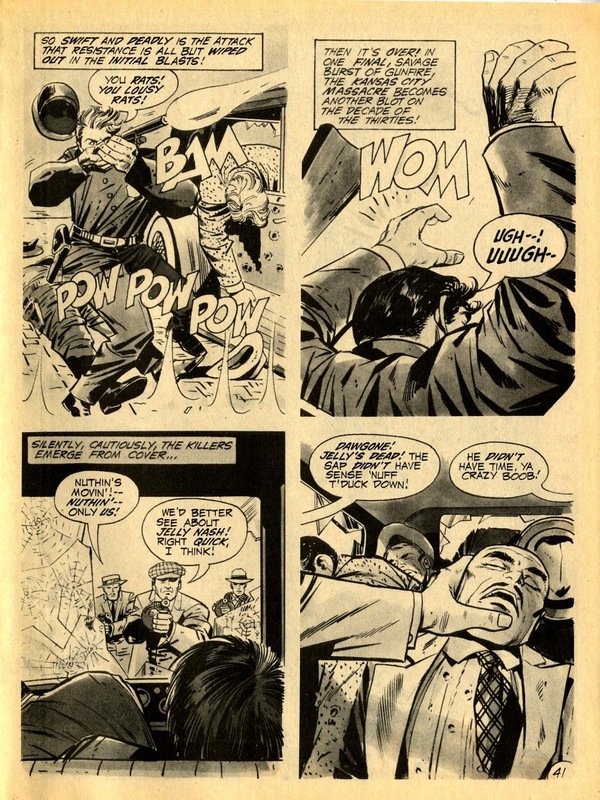 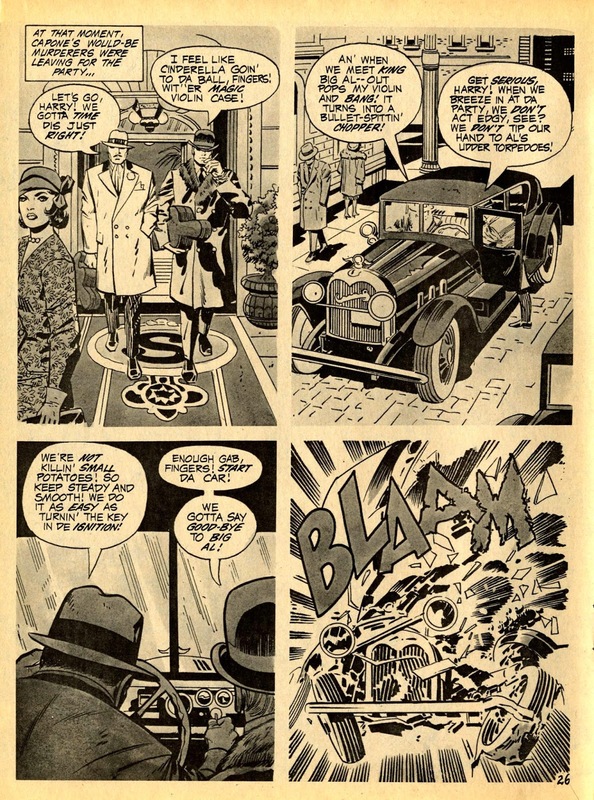 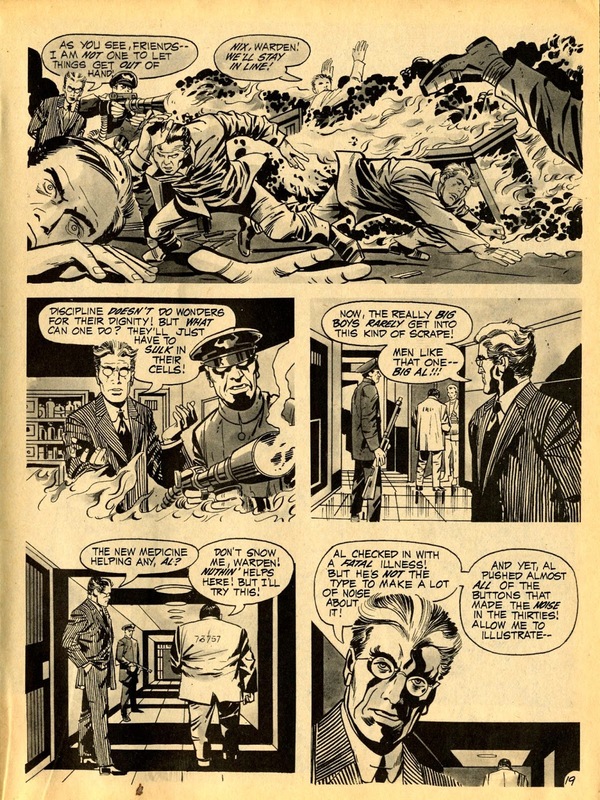 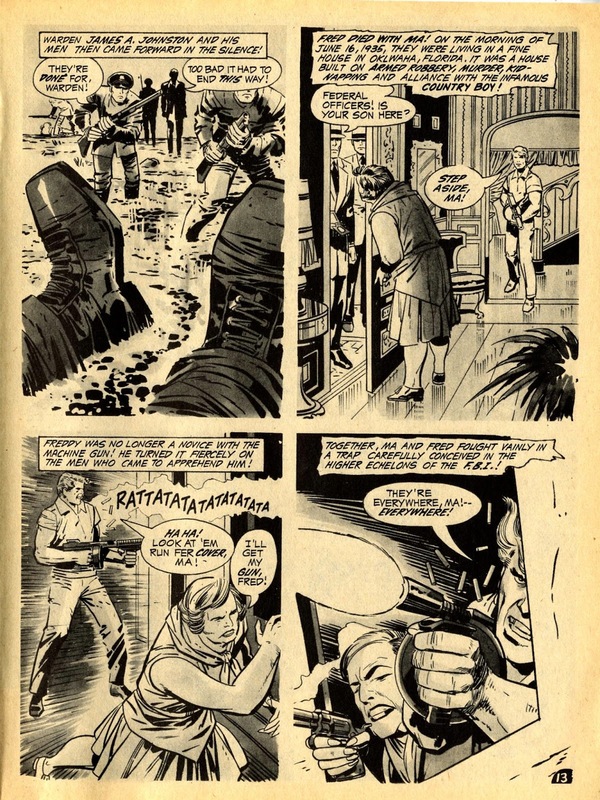 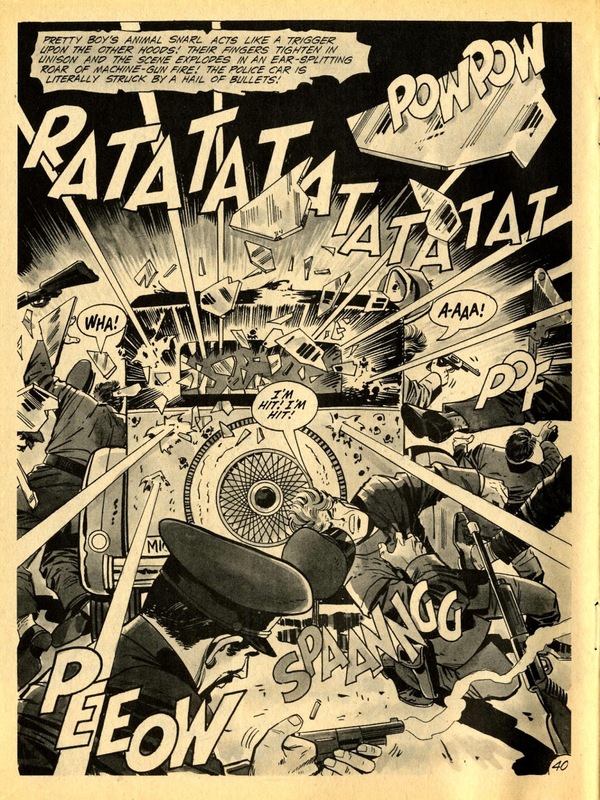 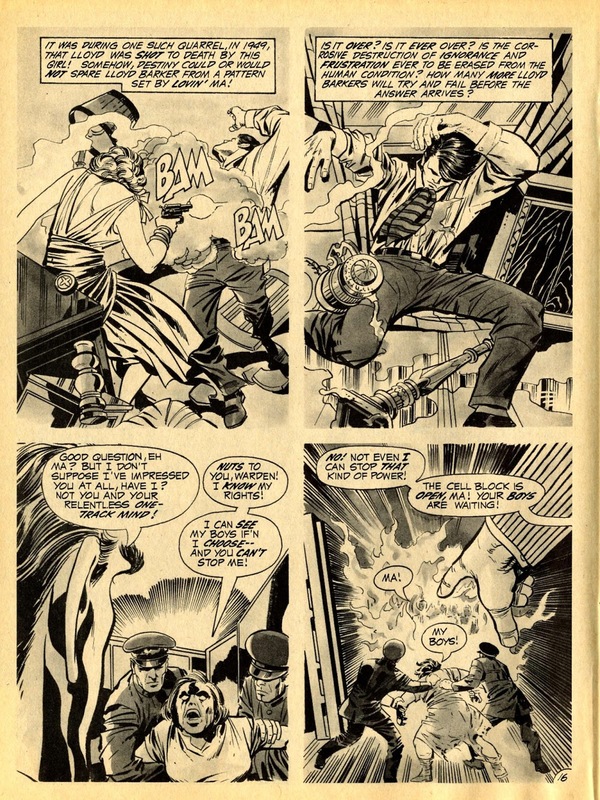 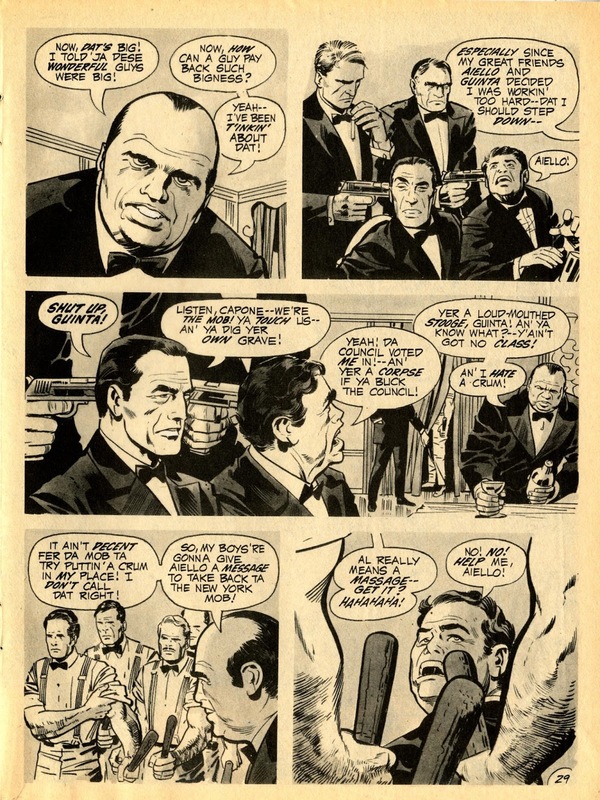 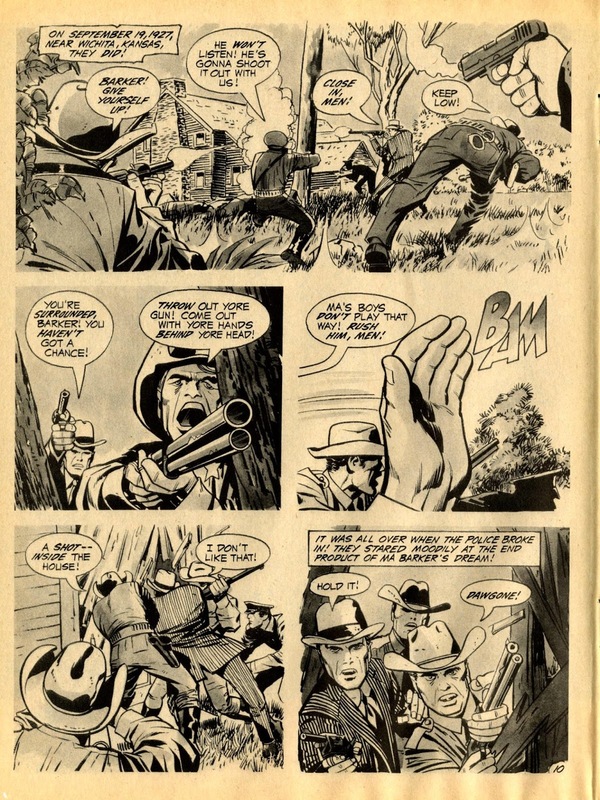 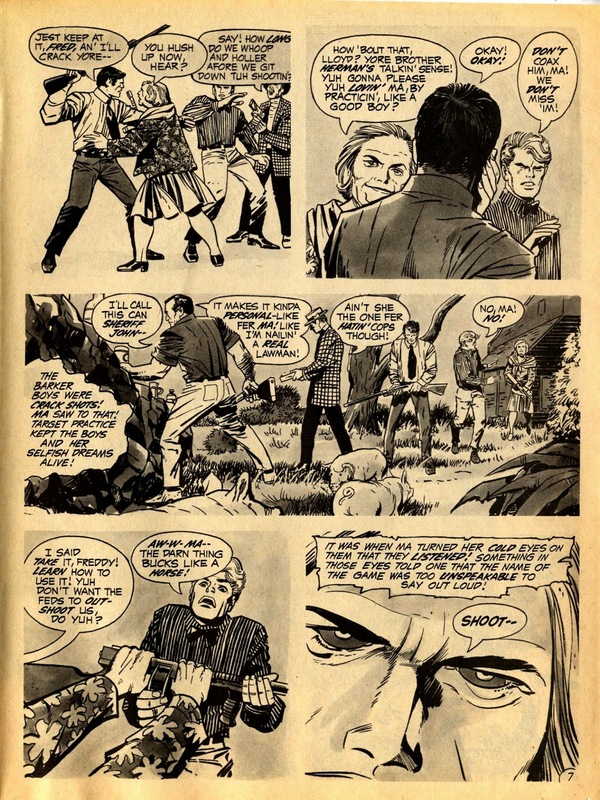 Between Kirby and Eisner, you have your visual comics storytelling textbooks. 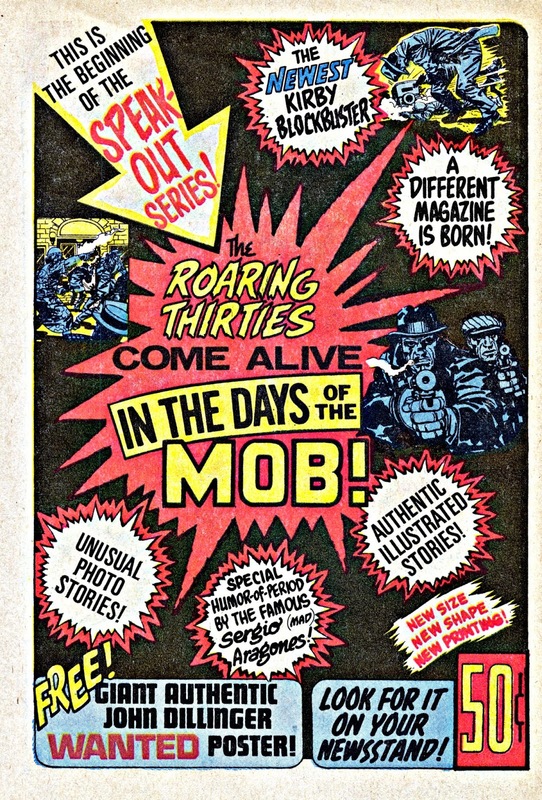 Haven't seen this before, so thanks a lot for posting. 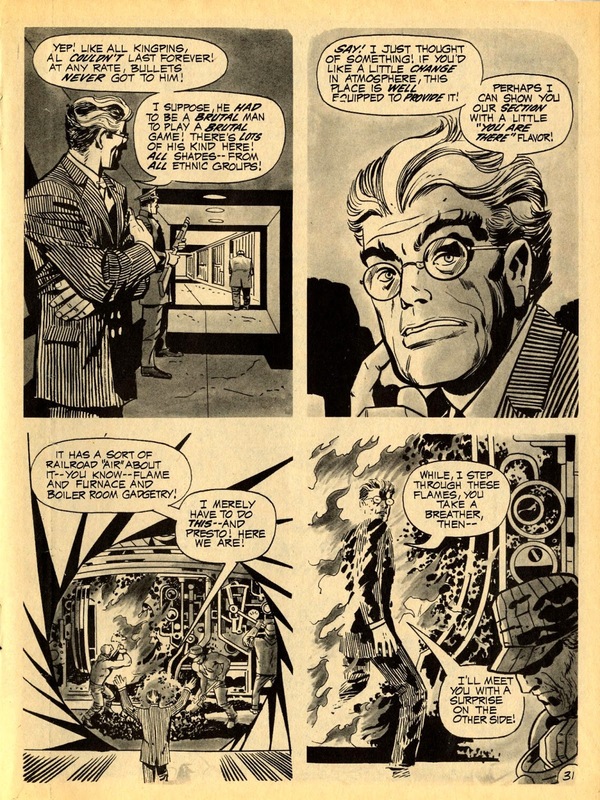 Theres so much work from Kirby's time at DC, its kind of amazing to realize he was only there for five years. 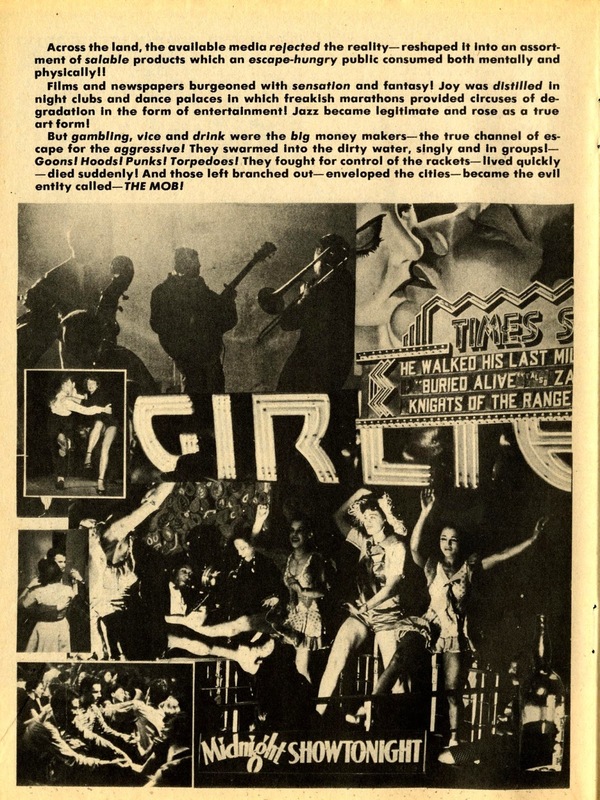 And its all great! 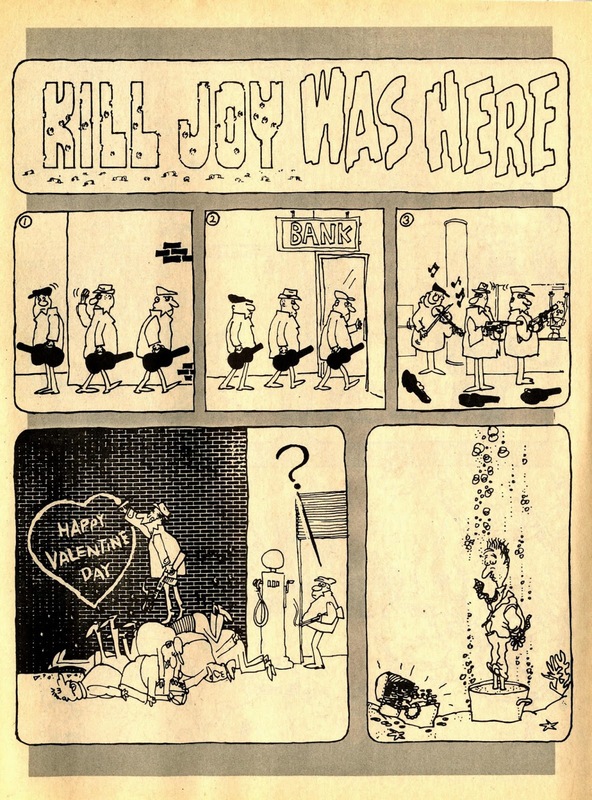 I had this comic when it was first published. 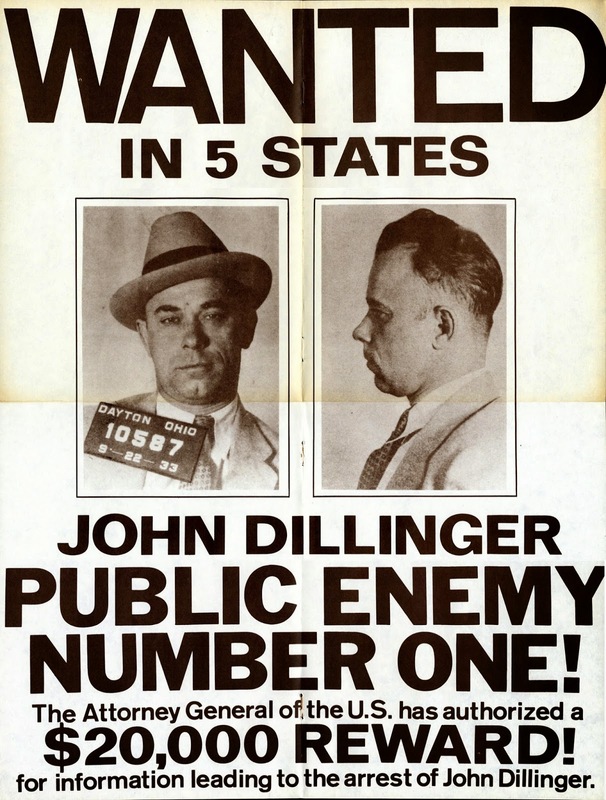 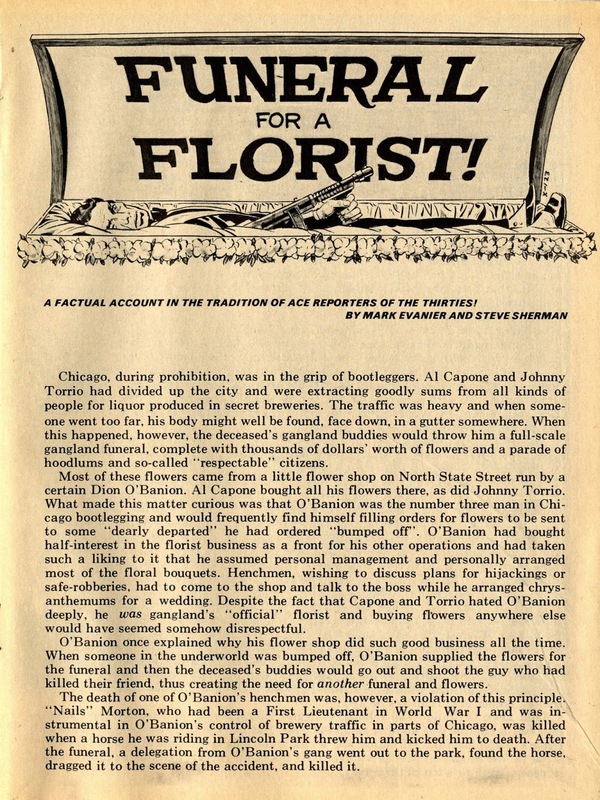 Did it include a Wanted poster of John Dillinger as a free gift? 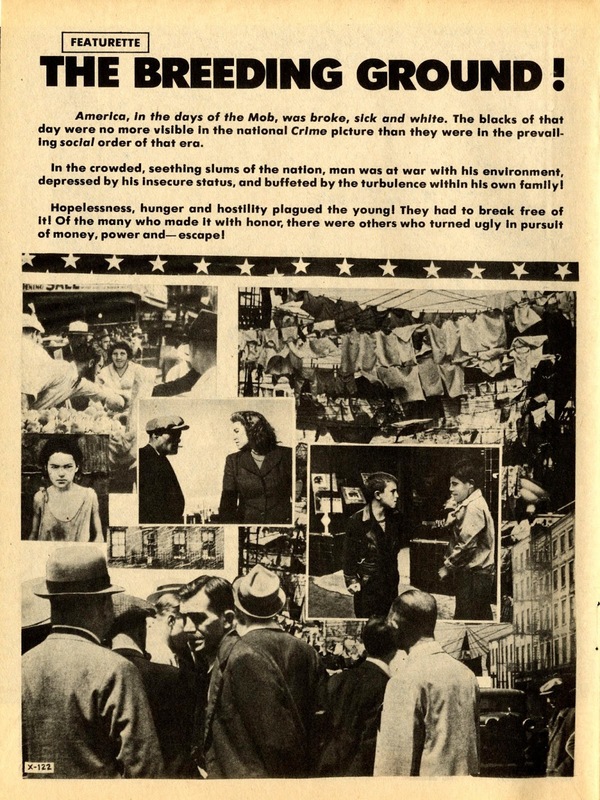 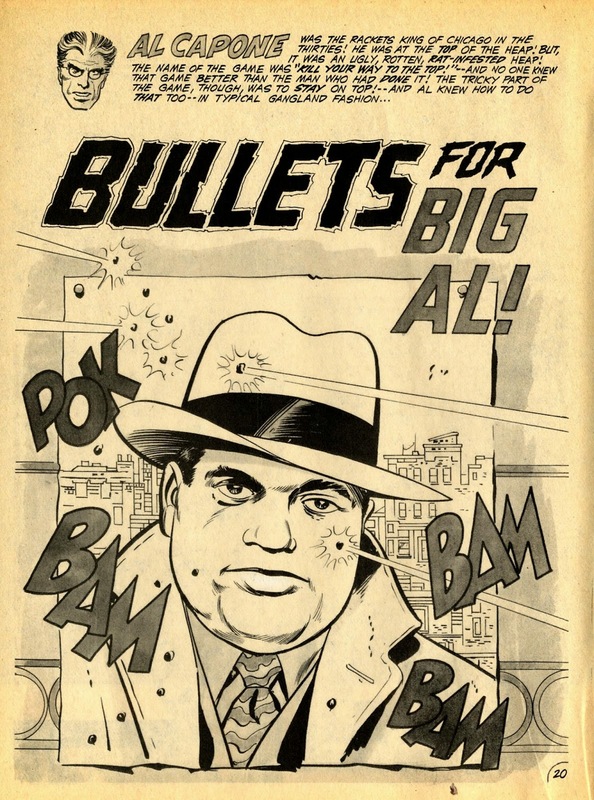 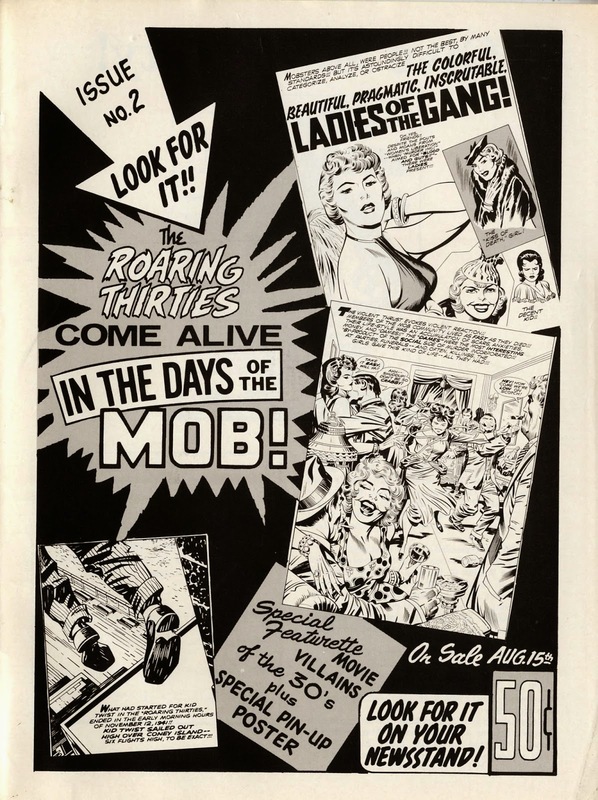 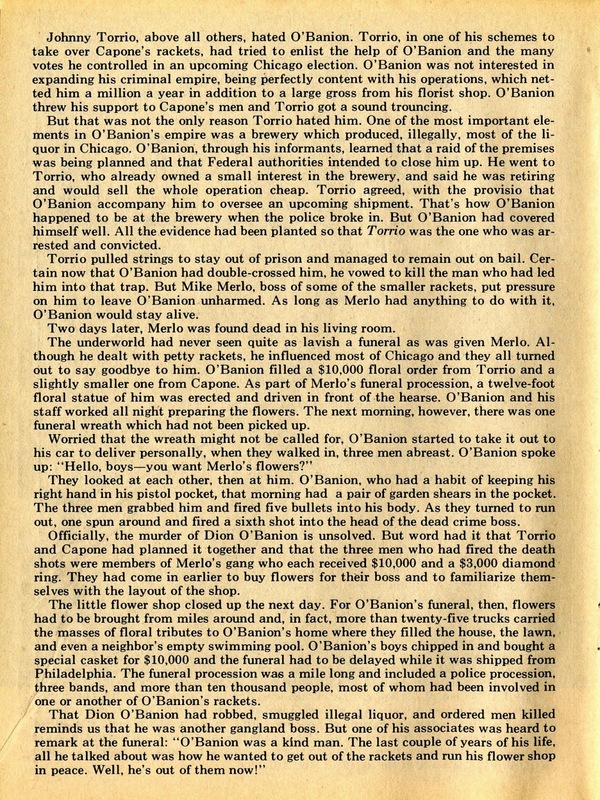 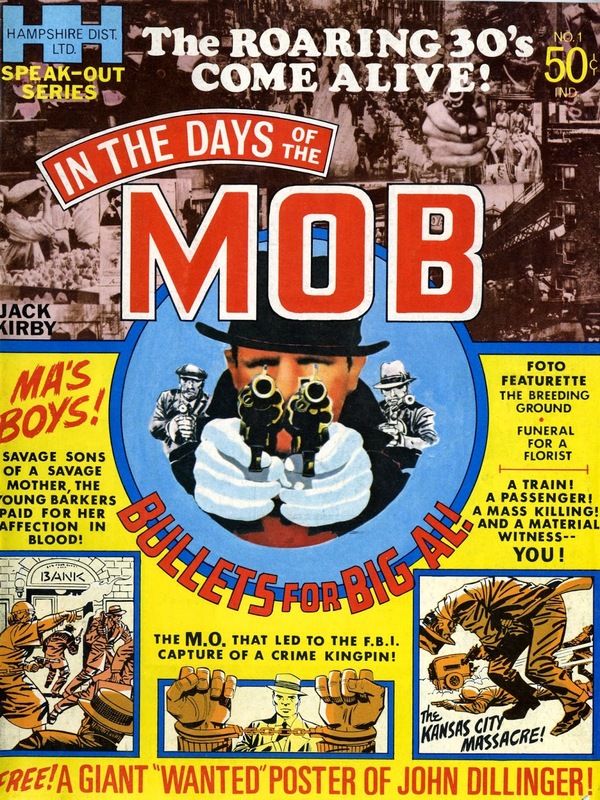 I had one on my bedroom wall for years as a child and it was in my mind that 'In the Days of the Mob' was the source. 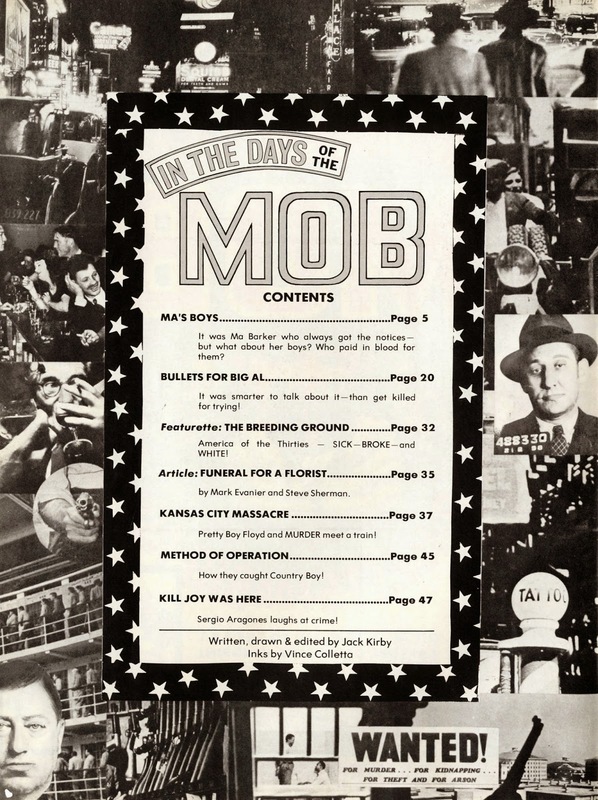 If you'd like to provide me with an e-mail address where I can send it, I have about 36 (I think, out of 44 total) scanned pages of Mob #2 - as well as most of Soul Love & True Divorce.